Online tee times are not availabile for Millennium. The original Millennium course architect Martin Hawtree has extended his original plan of the original 27 holes of the old Laguna Course by adding a further 9. Though this addition he has successfully created two distinctly different 18 hole courses. 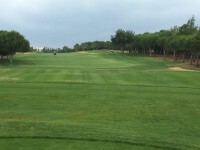 All the new additional holes are to be found on the Millennium Course and wander amongst a forest of pine trees common to many parts of the Algarve. 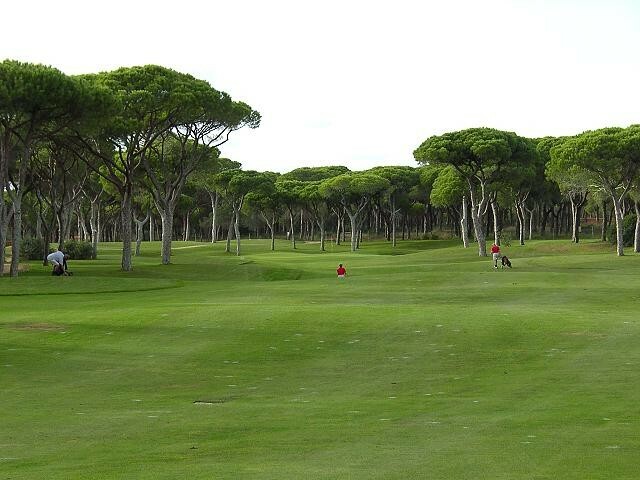 This course has some subtle and interesting variations to confront even the experienced golfer. Millennium was excellent and busy. It’s like a parkland course, with challenging hazard placements. The fairway is your friend! We ended up being paired with an Italian coach and his client, and had an excellent round. Staff and course marshals were friendly. 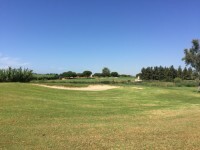 Course is exceptionally well maintained. Beautiful surroundings. Very helpful staff, make sure you do not mix up hole 2 for 9! Well maintained course, back nine absolutely marvellous. Excellent course apart from the tees which were very worn, uneven and scruffy looking! The fairways and greens were in superb condition with some outstanding and picturesque holes. Service at the shop was friendly, efficient and professional with the only down side being unable to pre book a buggy which was essential with long distances between a lot of the greens and tees. We did get a buggy no problem but it would have been nice to know in advance. The only other negative was the time it takes on average to get round in a fourball was four and a half to five hours. Played this course 4 years ago, when Oceanico owned it. Far better then than now. I bought a shirt then for 40 Euros, now 94 Euros. Bought pitch mark repairer then 5 Euros, now 15 Euros. Other changes since Dom Pedro have taken over is that the course is not in as good a condition. The holes have all been changed round. The 1st we tee'd off this week used to be the 10th. Far too long walks between green and tee on about 25% of the holes. I will not return to a Dom Pedro course again in Portugal. To post a review, score or a notice on Millennium page's or to connect with other Millennium golfers, please log in to your account or sign up using Google or Facebook.